M J Groundwork Services has been providing first-rate groundwork services to our clients in Epping for the past four years. Earning ourselves a deserved reputation for excellence and professionalism along the way, our team of workers bring considerable combined experience with them to every project requiring our assistance. Our digger and mini-digger hire packages set us apart from our competition. Not only do you receive a versatile digging machine from one of the world’s foremost manufacturers, you also have the benefit of one of our own, highly-skilled members of staff to operate it. House extensions are our speciality. From conservatories and patios to swimming pools and garages, we have been providing these new additions to properties across Epping for some time now, and are confident that you will be more than pleased with the results. For a number of our rural clients across Hertford and Essex, the inclusion of a septic tank with their property is an essential investment. With our team of experienced installation experts on hand, you can be sure of a clean and safe septic tank, adhering to all relevant health and safety standards. While digger and mini-digger hire, house extensions, and septic tanks may form the lion’s share of our work, we also offer the following additional services: drainage, driveways, tree stump removal, patios, ponds, swimming pools, horse riding ménage, landscaping, fencing, demolition, and retaining walls. Our area of operation covers forty miles around our Sawbridgeworth office, including our valued customers in Theydon Bois, Chigwell, Romford, Brentwood and, of course, Epping. 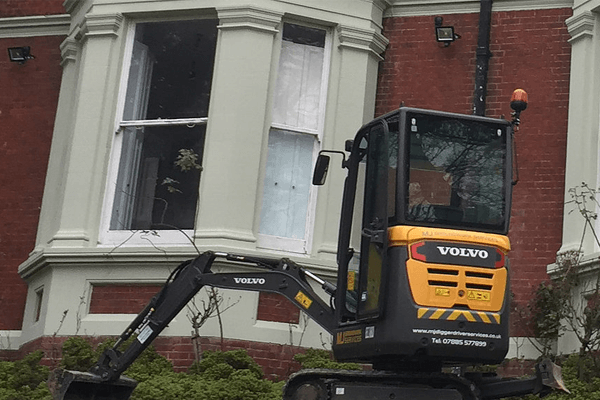 With more than five decades of collective experience in the construction and groundwork industries, our customers in Epping can rest easy knowing that our team of workmen have the necessary expertise to perform a first-class job every time. 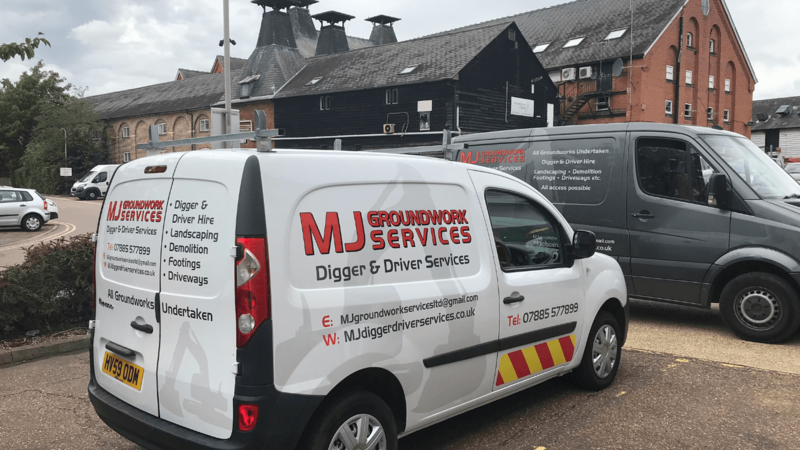 For mini-digger hire, septic tanks, house extensions, and more, our Epping clients should call M J Groundwork Services for a free quote on 07885 577 899.